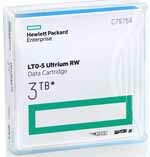 Find a Golden Cartridge inside any HP LTO Ultrium media product and you could win a fully loaded HP StorageEver MSL6480 Tape Library. 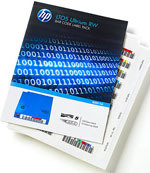 There could be a golden opportunity hidden inside your next HP LTO media purchase! 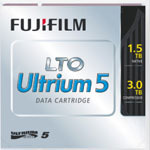 * Find one of 200 HP Golden Cartridges between 15th September and December 31st 2015 and you'll win a five pack of LTO Ultrium tapes. 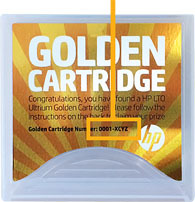 And all Golden Cartridge winners will enter a prize draw to recieve an HP MSL6480 StoreEver Tape Library! 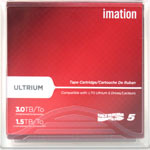 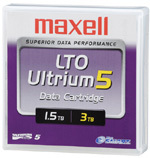 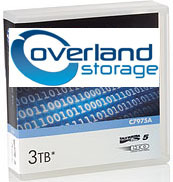 MR-L5MQN-01 quauntum LTO-5 Tape media cartridge 1.5TB native / 3TB Compressed Capacity Ultrium-5 Storage media available at BackupWorks.com call us today at 866 801 2944 or visit us online at backupworks.com for all your Quantum LTO-5 tape media needs.